Outdoor Movies in Washington, D.C.
At the NoMa Summer Screen, families will enjoy a variety of outdoor movies throughout the summer. 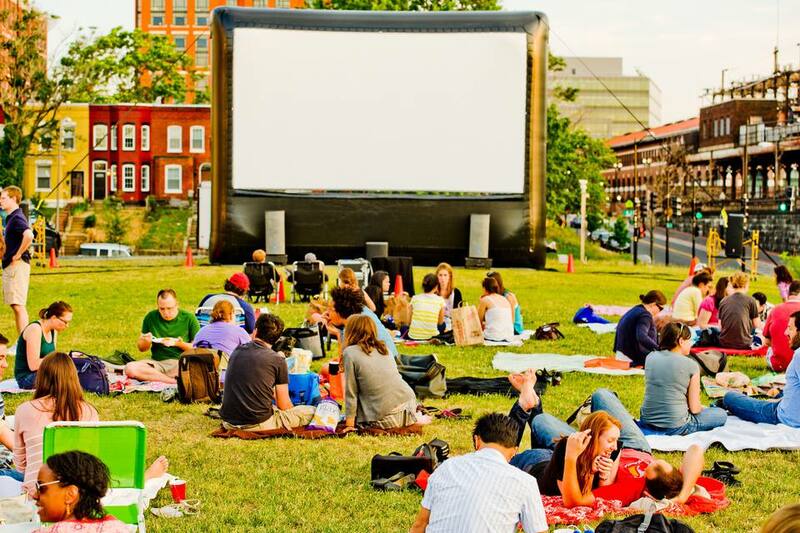 The NoMa (north of Massachusetts Avenue) Business Improvement District hosts a free summer-long outdoor film festival in Northeast Washington, D.C. The event will be held on a large grassy lot, so bring a blanket, a low lawnchair, and a picnic. Each film screening will be preceded by live DJs, special guests, barbeque, and surprises. Funk, soul, boogaloo, and other types of music will be provided by local DJ collective Fatback. All movies are screened with subtitles. Time: 7:00 until 11:00 p.m. Rain or shine.